Year 7 and 8 Netball at St. Dunstans. Year seven and year eight netball competition at St. Dunstans. 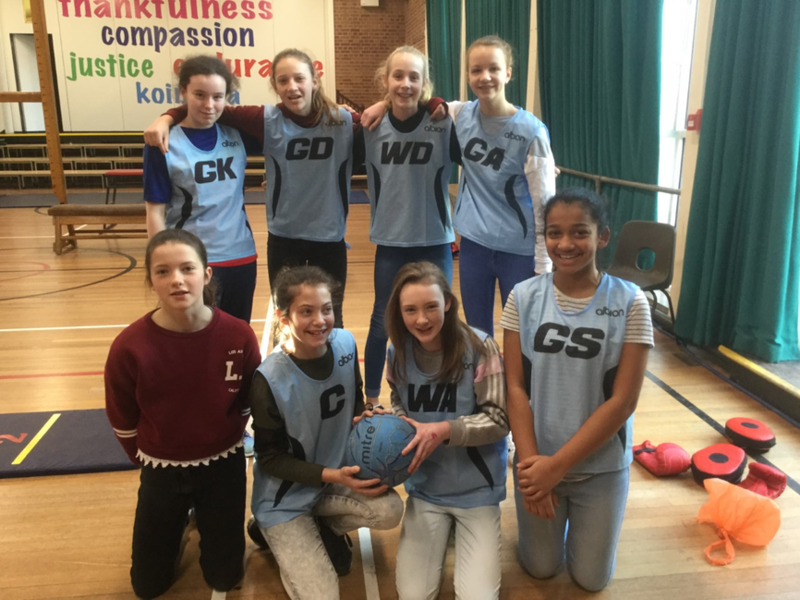 Both teams travelled to Glastonbury to St. Dunstans school to play netball in a friendly competition versus St.Dunstans, Selwood and Oakfield schools. It was a rare sunny day and spirits were high. Captained by rock climber, Evie Martin the team played well winning all three matches. The shooting was excellent backed up by strong defenders and midfield play. Varnia was the GA (goal attack) and her accuracy improved with each match. Captained by experienced club player, Mia Johnson the year eights played with enthusiasm and skill. They lost the first match to Oakfield but won the following two. They therefore won on goal difference. Each girl marked tightly and the shooting in the last match versus Selwood was impressive. It was a good experience for both teams and it was all played in good spirit. Thank you to our student teacher Miss O'Brien who recently confessed to playing in the Welsh squad as a younger player and who has been supporting the key stage three girls at Wednesday club. Her tips have proved very useful.